Bandicam is a program that lets you capture what's happening on your computer screen as a video or image. It’s an excellent alternative to Camtasia. With Bandicam, gamers are capable of recording their gaming skills in high resolution, up to 2560x1600, and then sharing the videos directly on YouTube in 720p or 1080p. 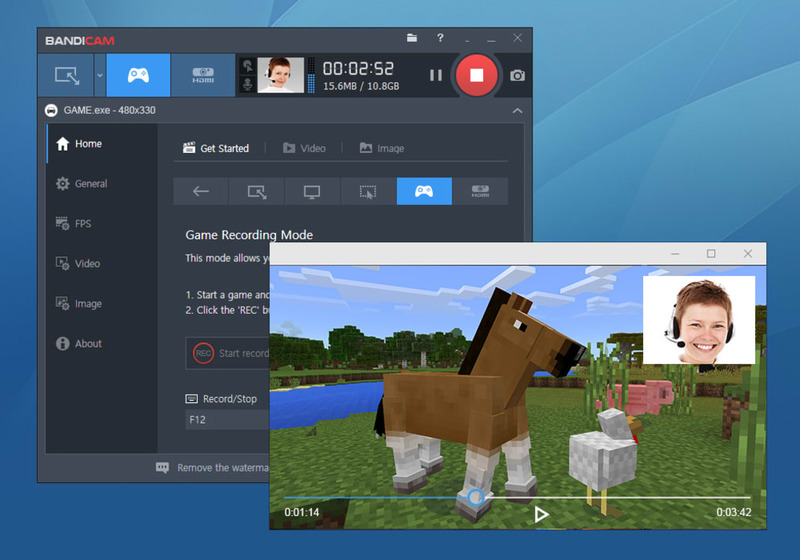 The software works with games and software using DirectX and OpenGL for graphics such as Skyrim, Minecraft and World of Warcraft. 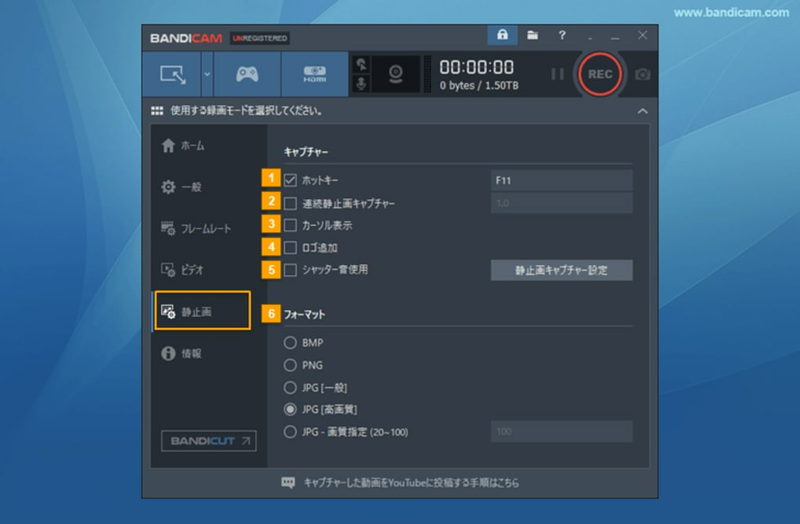 Bandicam lets you change the number of frames per second, choose the video (MPEG-1, Xvid, and MJPEG) and audio (PCM and MPEG-1 Layer II) codecs, and use keyboard shortcuts. Videos are watermarked on the free version, but this is removed if you pay to register. If you are registered then you also gain access to the RGB24 with the MagicYUV Lossless codec by default. With Bandicam, you can also easily capture screenshots and save them as BMP, PNG, or JPG. You can also program the screenshots at regular intervals. As you can see, the interface is minimalist, so you shouldn’t encounter any issues when using it. But if you do have a problem, you should know that the developer provides full assistance on Bandicam’s site. To capture videos or images, you only need to define the options mentioned above (quality, framerate, codecs) and the area you want to capture. Bandicam also lets you resize the area manually, or choose from the predefined formats (from 320x240 to 1280x720, and between 4:3 and 16:9). Although FRAPS is more popular, Bandicam is just as good, and will help you immortalize your favorite gaming moments. And, of course, it can also be very useful for creating screencasts and making tutorials. Want to check out more apps and software? 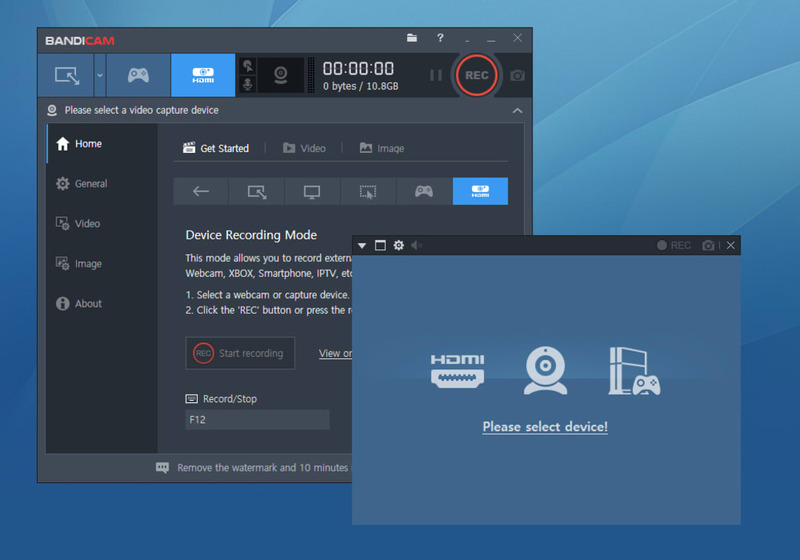 Discover the best software for recording gameplay in our Solutions page. 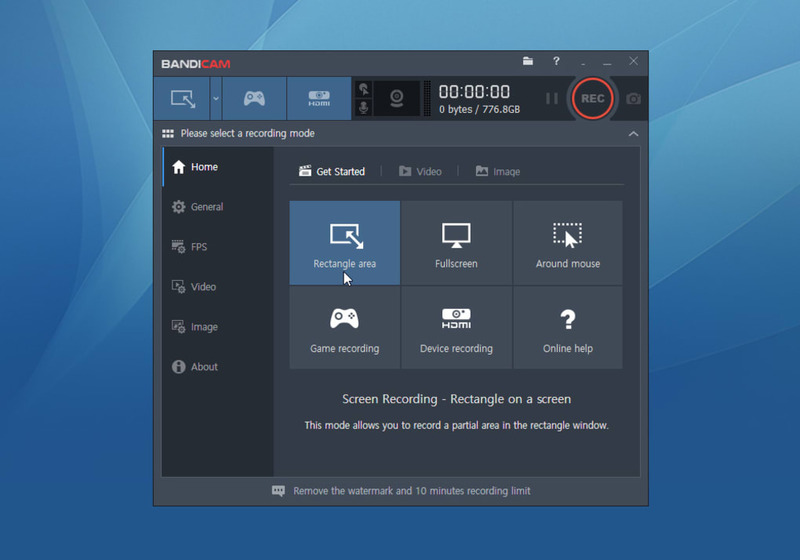 Bandicam is a lightweight screen recorder for windows that can capture anything on your PC screen and DirectX/OpenGL games. Bandicam compresses the video while recording and uses much lower CPU/GPU/RAM usage, and it fully supports the hardware accelerated h.264 encoder which allow video to be recorded in high speed, with a high compression ratio and excellent quality. Bandicam supports the real-time highlighting of the mouse cursor and mouse click effects, a feature which competing software lacks. 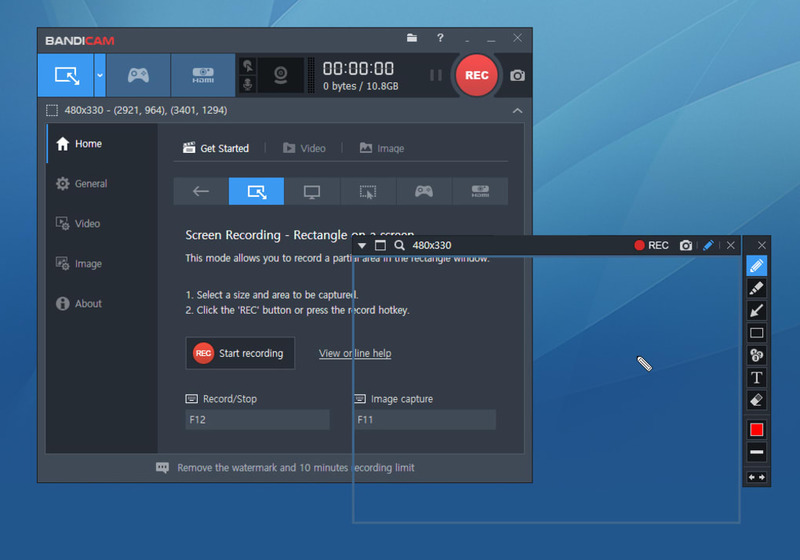 When these mouse effects are used in conjunction with simple microphone recording, Bandicam is the ideal screen recorder for making tutorials. It also can record video at resolutions of up to 3840x2160 in high quality and your webcam will be simultaneously recorded and merged with the game / screen recording. Bandicam supports a real-time drawing function which allows users to draw lines, boxes, or highlights while recording the computer screen. You can upload the recorded file to YouTube without converting because the recorded file size is much smaller than other software. It's a free version, but i thought i wanted to use it for a fee!! Bandicam is so useful to make a video when i edit a my video. it was very satisfactory to me. Its really the best to make videos on roblox, because people can see my words on the chat. Overall Amazing App. I really love the fact that it makes recording and hearing my voice a lot easier when I am watching my videos. Thanks to my Bandicam Screen Recorder I can record, play games, do talk shows, and podcast. Thanks Bandicam!